As humanity evolves into higher states of consciousness, so must our model of partner relationships. Author Steve Smith, LMFT, explains the benefits of transforming the faulty beliefs and assumptions we currently hold into the emerging paradigm of relationships. This new frontier includes a practical knowledge of metaphysical principles and how they directly impact our experiences. The author recounts his personal realization that at our very core exists the unconditional love of creation, which is the thread that binds us all together. With lighthearted humor, he describes how to cultivate this love and apply it in our lives so that we can experience the beauty and glory of an enlightened relationship. Steve has helped many people overcome these challenges in counseling or coaching sessions and in the many workshops/classes he offers. He is the author of The Enlightened Relationship: Mastering the Metaphysics of Love, a visionary paradigm that serves as a beacon for couples to co-create their lives together. Currently he appears as an expert guest on local television, presenting a series on the components of this new paradigm. While at Stanford University, he competed in the classroom and on the football field as a student-athlete. He received his undergraduate degree from Stanford and went on to earn a Masters in Counseling Psychology from The Institute of Transpersonal Psychology. Steve founded The Enlightened Mind as a community resource center for Self awareness and inspiration. This lucidly written guide is a practical introduction to the Buddha’s teachings. Christopher Titmuss demonstrates how these teachings can affect our everyday lives, drawing on the experiences of real people. Each section concludes with questions to ask ourselves. Suggestions for practical exercises and tasks are included. Many in the West today are familiar with the benefits offered by meditation and mindfulness, and keen to understand more about Buddhism. Written by a former journalist and Buddhist monk, Light On Enlightenment is an accessible guide to the Buddhist teachings, offering insight and inspiration for daily life, as well as a lucid guide on the path to enlightenment. 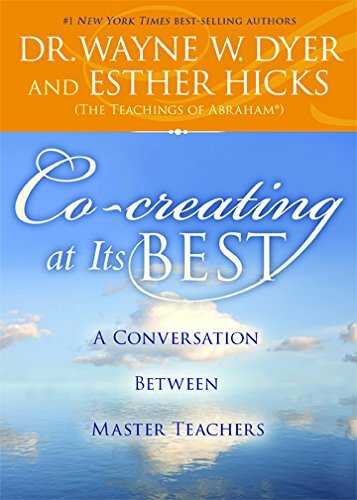 Abraham, translated by Esther Hicks, answers a question re. “what realm” they come from, and then explains who they are in poetic terms. Recorded during the 2007 Mexican Well-Being Cruise. NOTE: To watch this video in high quality and stereo, simply add “&fmt=18” to the end of the URL and refresh the page. The “you” who is chasing enlightenment will never become enlightened. Instead of striving towards some distant goal that you will never reach, Adyashanti invites you to stop and ask: How am I avoiding the enlightenment that is already present in each moment? How am I seeing separation where it doesn’t exist?